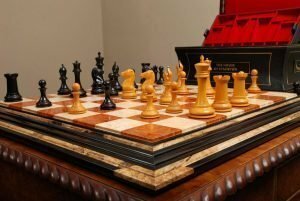 Spalted Maple, East Indian Rosewood and Cocobolo Premium Chessboard. 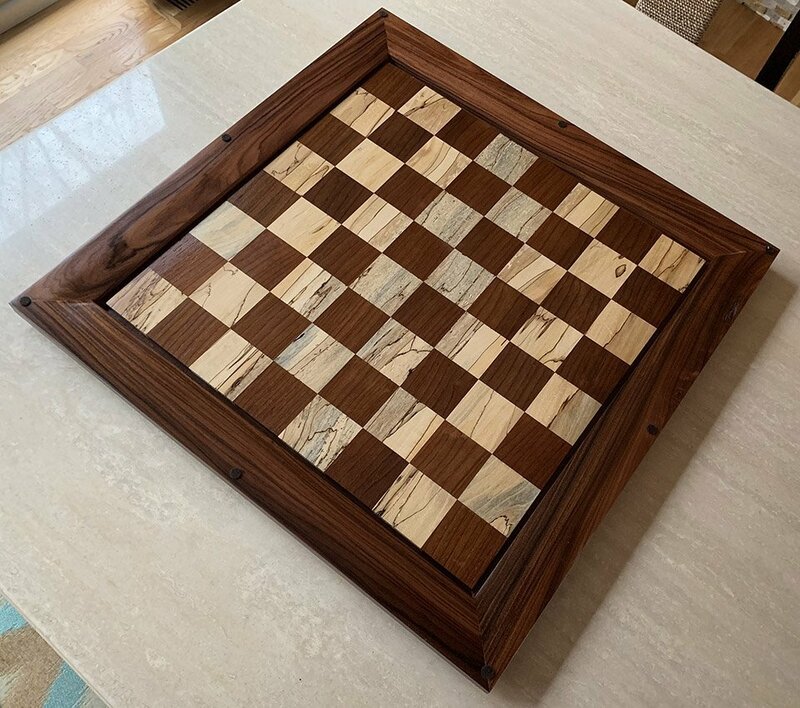 A Cocobolo Premium Chessboard with raised 2-1/4″ squares of East Indian Rosewood and Spalted Maple and a solid Cocobolo frame. The chessboard measures 23″ square. 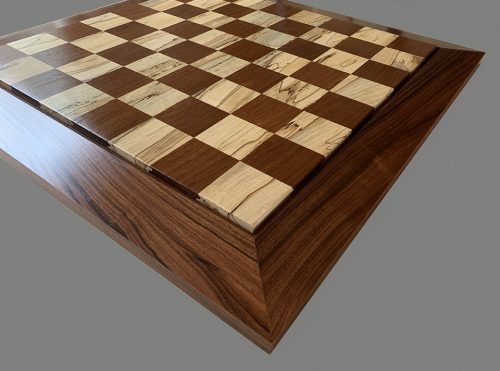 This Premium Chessboard, with its unique raised playing field, was designed and crafted by David DeCristoforo. 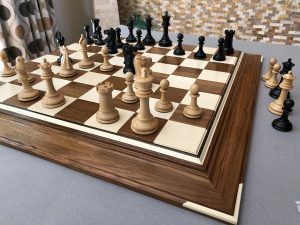 The chess board is like-new. 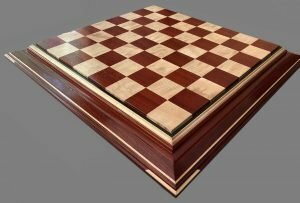 Our complete line of Antique, Custom and Luxury chessboards can be found here. Cocobolo is one of today’s most prized lumbers for its outstanding color and figure. 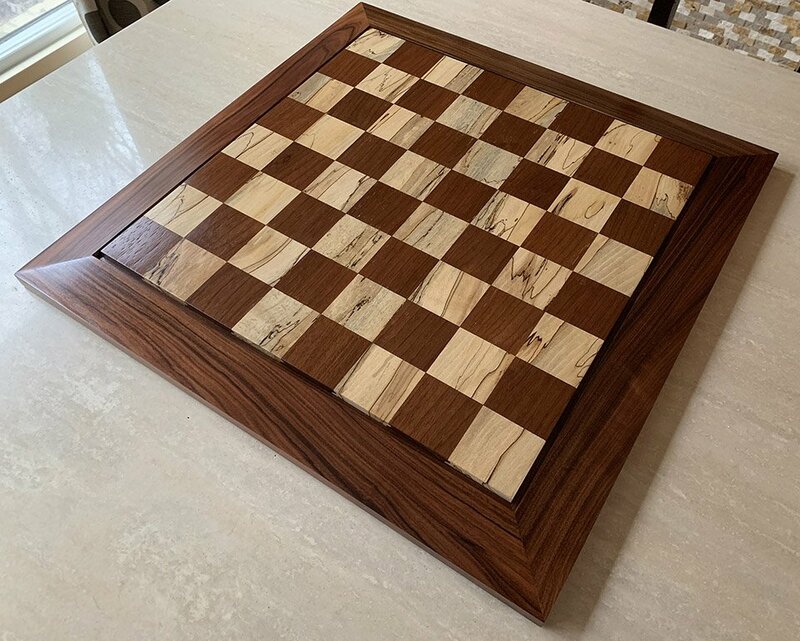 A member of the Rosewood family, (Dalbergia retusa), Cocobolo is is stronger and denser than Brazilian Rosewood, Because it stands up well to repeated handling and exposure to water, a common use is in gun grips and knife handles. 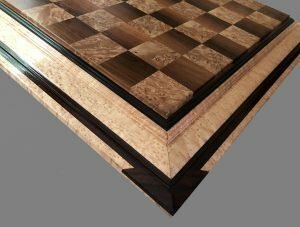 It is very hard, fine textured, and dense, but is easily machined. The abundance of natural oils, however, causes the wood to clog abrasives and fine-toothed saw blades, like other hard, dense tropical woods. Due to its density and hardness, even a large block of the cut wood will produce a clear musical tone if struck. It is used to make musical instruments, such as oboes and clarinets, for its “warm, rich palette”. Cocobolo can be polished to a lustrous, glassy finish. 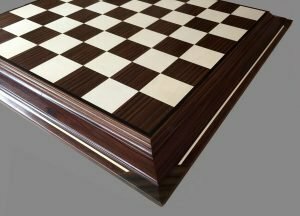 It has also been used to make necks of guitars and has been used as a substitute for Brazilian Rosewood, since that wood was was CITES listed in 1992. Spalted Maple, much like Ambrosia Maple and other forms of figured Maple, Spalted Maple is technically not a specific species of Maple, but rather a general description of any type of Maple that has been allowed to begin initial stages of decay, and then subsequently dried (preventing further decay). The partial decay, called spalting, gives the wood dark contrasting lines and streaks where fungus has begun to attack the wood. 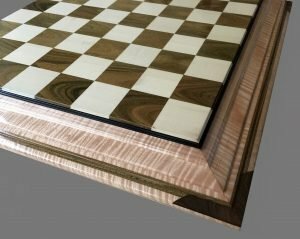 If the wood has been harvested from the spalting at the right time, the lumber will be sound and usable, with little to no soft spots or rotten wood.